Silverback Pull-back conversion kit for the Silverback SRS-A1 is a reverse mechanism: with the original bolt, the main spring is compressed while you push the front the bolt. 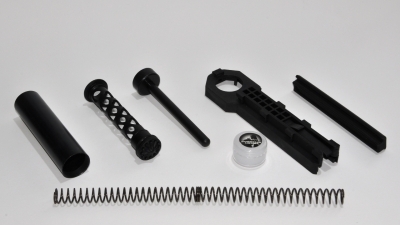 With this kit, you will compress the main spring by pulling back the bolt, like most of the spring powered airsoft bolt action rifle. 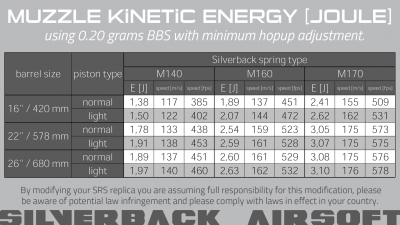 The volume of air is increasing from 28 cc to 41 cc (+46%), and this huge volume of air will allow you to reach high power with easier priming of the gun.